High-rise buildings present unique challenges when it comes to the area of fire safety. In most buildings, those inside will only need to travel down a flight or two of stairs to get to safety, if they have to travel down any flights of stairs at all. In a high-rise building, however, people might need to travel down several flights of stairs to get to ground level and out the door. Follow Us: Let's get LinkedIn! Even so, there are many misconceptions about high-rise building safety that, once disproven, will make the issue much more clear. Here are six fire safety tips for those living and working in high-rise buildings. The first misconception when it comes to high-rise building safety is that even the stairways will be dangerous during a fire. In reality, high-rise buildings are designed to be as fire resistant as possible, and this especially extends to the buildings’ stairways. Most high-rise fires end up becoming contained to one specific apartment or floor while the stairways remain unaffected. As a result, an individual’s top priority when faced with a high-rise fire is to seek the nearest stairway immediately. One common mistake that people make in cases of high-rise fires is assuming that someone else has already called 911. It’s far better to assume that someone has already called and then call anyway than to assume someone has called when they actually haven’t. This way, you can potentially prevent the spread of the fire and even help others who might be trapped. 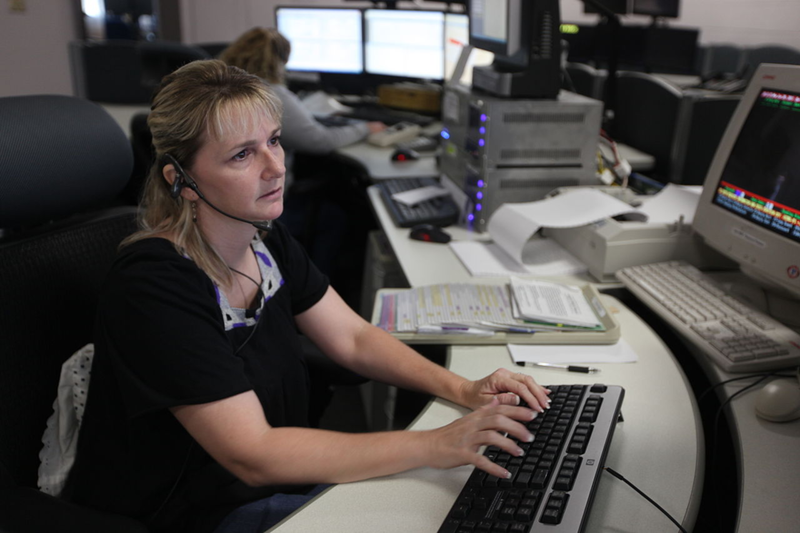 If you’re calling on a cell phone, you can even call while making your way to safety. Your first instinct will likely be to leave immediately. While this is understandable, it isn’t always the safest thing to do. If you know that a fire is burning and are about to leave your apartment, feel the door with the back of your hand. If your door feels warm or hot to the touch within five seconds, this indicates a dangerous fire condition in your corridor. You’ll want to get a wet towel and seal the cracks in the door where the smoke is entering into your apartment and inform the authorities of the situation as well as where you’re located. Try to breathe normally and stay calm; staying calm during an emergency can save your life and the lives of those around you. Natural human instinct will make you want to run out of your apartment as soon as possible, but there are certain steps you should take before leaving. If your apartment door is not warm or hot to the touch, it’s safe for you to crack open the door and check for the presence of smoke in your corridor. If the corridor is safe, you should alert everyone on the rest of your floor of the presence of the fire. You should close your apartment door without locking it and then carefully make your way to the nearest stairway. Under no circumstances should you use the elevators. No two high-rise buildings are alike. It’s important that you learn the layout and fire safety plan in your building before you find yourself in a dangerous situation. There will most likely be fire hose adapters and fittings located somewhere within your building as well as fire extinguishers, exits, and stairways. Knowing your building can be the difference between life and death. Maps and other information should be available in all high-rise buildings, and this will give you the opportunity to study the layout of your building so that you’ll be better prepared should a fire safety issue arise in the future. The key to fire safety is having a proper contingency plan, being prepared, and having the ability to stay calm even in a stressful situation. No one is ever expecting a high-rise fire, but there are things that you can do to ensure that you are as prepared as possible for one. This way, you can notify the authorities, alert others in your high-rise building about the fire, and get to safety. 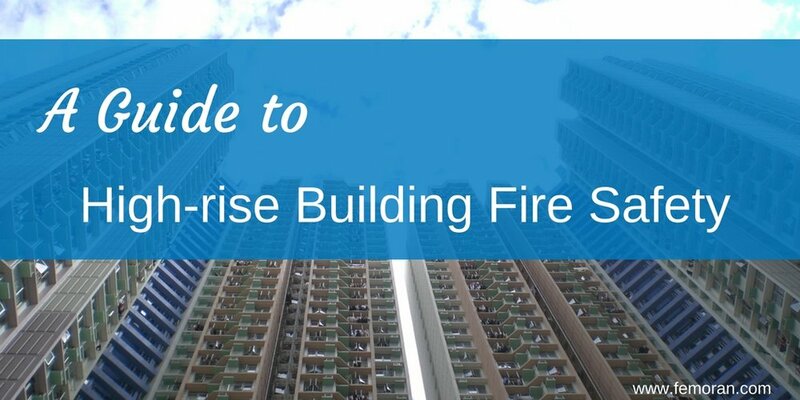 If you take the necessary steps toward preparing for the possibility of a high-rise building fire, you will be that much more able to respond appropriately should the situation ever occur. Being prepared and vigilant are the keys to fire safety. Alfonso Gonzalez is a freelance writer based in Malibu, California. He spent 25 years in the construction industry, working roofing, plumbing, electrical, and more before retiring. In his free time, he likes to work on home repair projects.